Some days back, I got a question on this topic and the question was “how to reset/change SQL password” without reinstalling it. I guess many of us face issues like this. 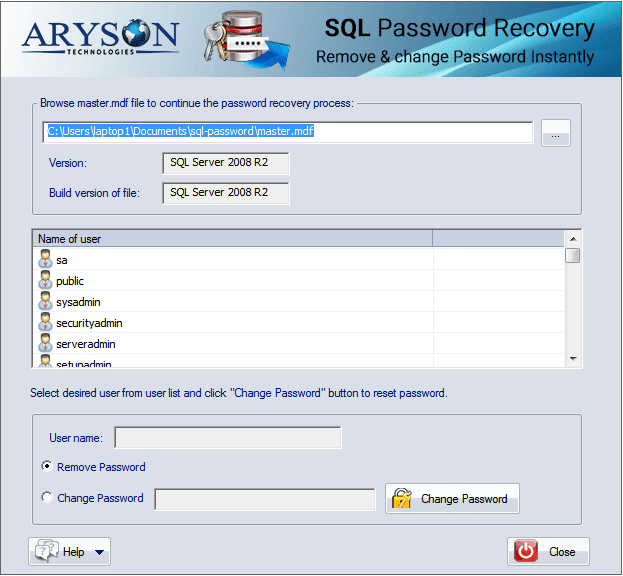 So; today from this article I will be sharing three easy Methods or ways to reset/change SQL Server Password. Method 1: Reset/change SQL Server Password using SQL script. Now, open a new query. Where NewPassword is the password you want to use for the sa account. 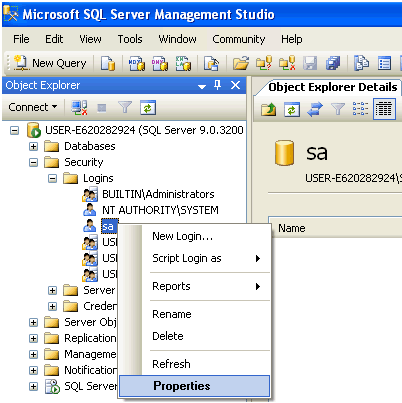 Method 2: Reset SQL password in Management Studio. You can easily change or reset your and once again can have access to the powers of SA account using windows authentication mode. 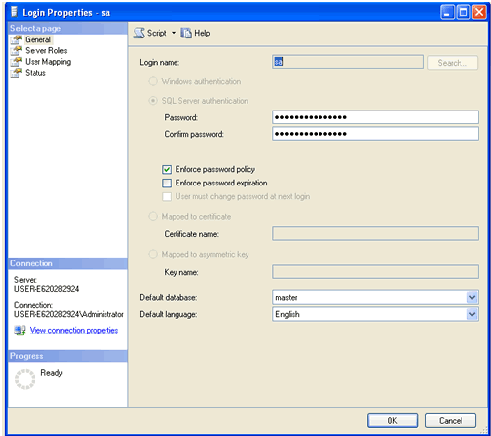 Login into SQL server using Window Authentication. 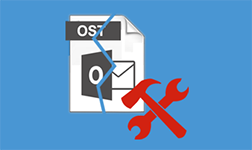 In the Objective Explorer Option, open Security folder and now open the Login folder. Right click on sa account and go to properties. 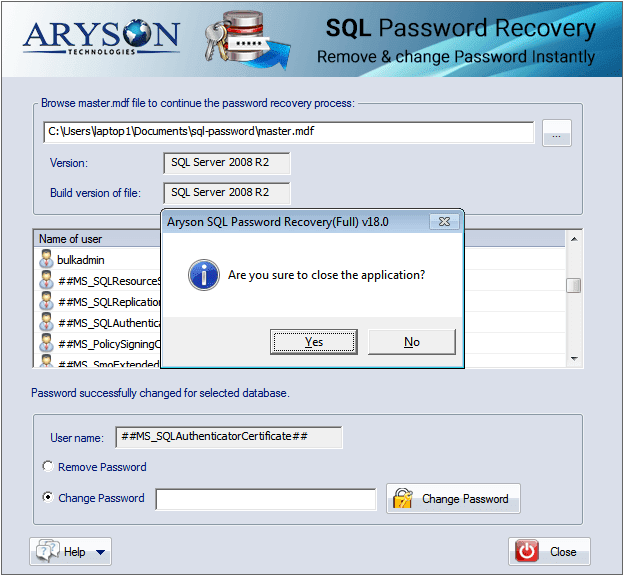 If all the above methods don’t work in resetting or changing SQL server password, then the only method left with you is Aryson MS SQL SERVER PASSWORD RECOVERY V.20.It is the best solution to instantly reset or change SQL server account in a very safe manner. 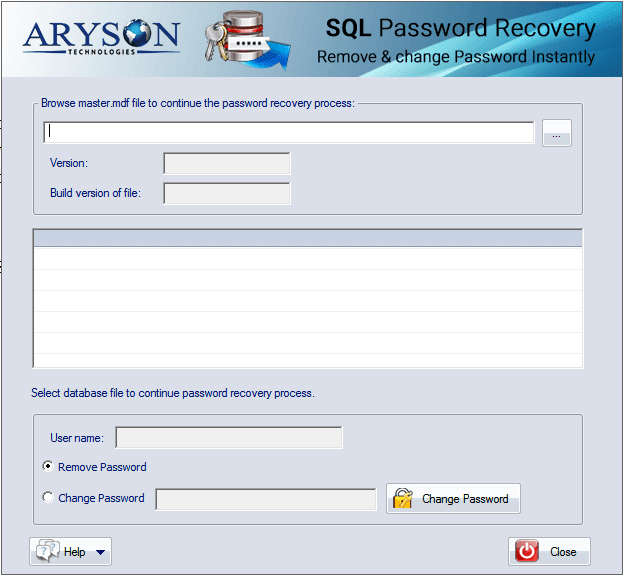 This SQL Server password Recovery Software allows user to set a new password for their accounts if they have forgotten or lost the original password. 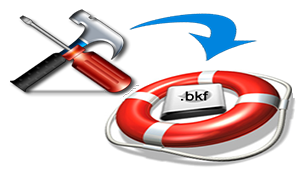 With this recovery tool you can crack users as well as System Administrator account password flawlessly. It can set new Password for user accounts in SQL server by replacing the original password. It can crack all types of SQL passwords, such as encrypted and UN-encrypted Password and a many more. Step 2. 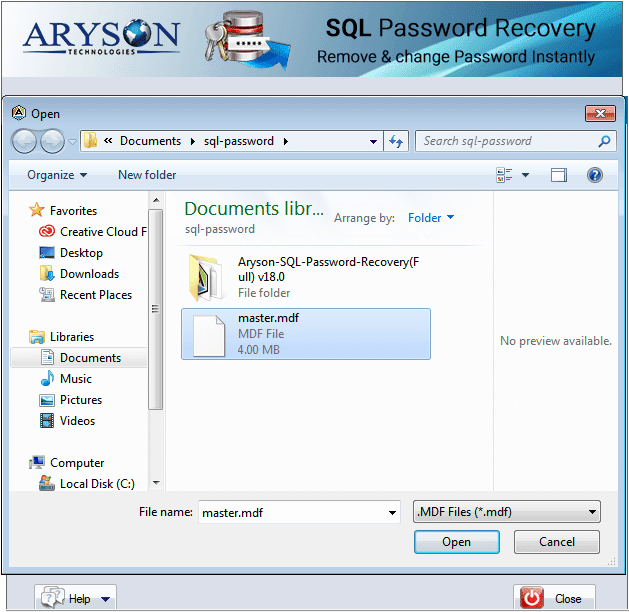 Browse master.mdf file to continue the password recovery process. Step 3. 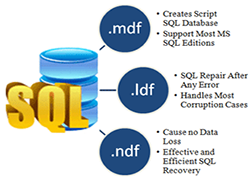 Click on the Open file button to choose the SQL server master data base file (master.mdf) which is in documents. Step 4. Select the desired user from user list and choose any option “Change Password “ or “Remove password “according to your need. Step 5. 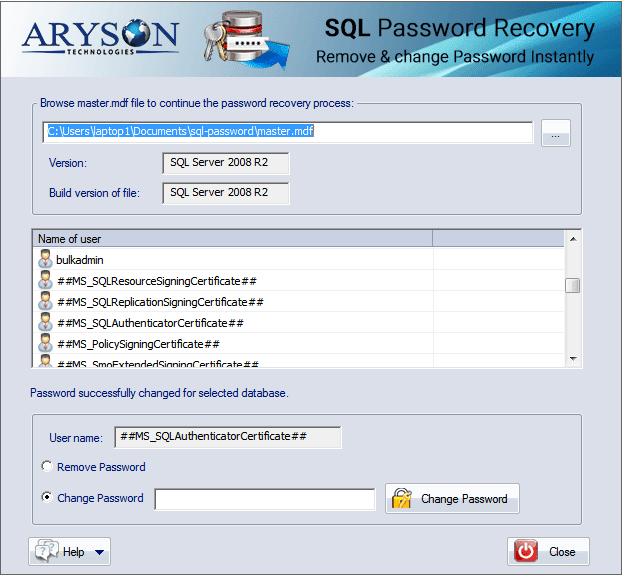 To reset SQL server password click on “change password”button. Step 6. Type a new password and click OK. Step 7. Password successfully changed for selected database. Step 8. Submit YES and close the application. 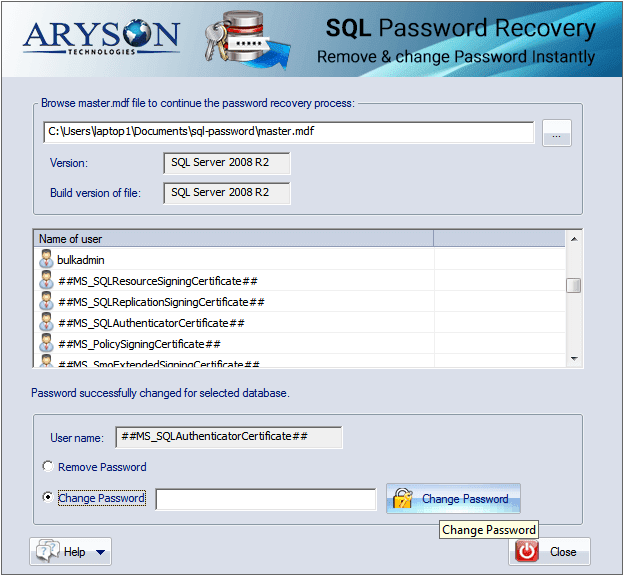 The tool I mentioned is the best tool to reset SQL server password as per my knowledge. You can choose any method on the basis of your need. Hope the above mentioned tool and the two manual steps will help you in changing your SQL server password.